What happens when evil wins? 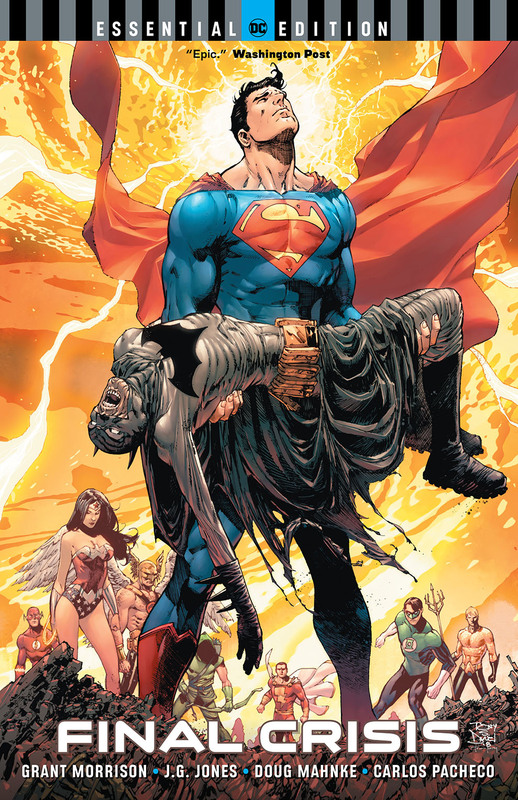 That's the question Superman, Batman, the Justice League and every being in the DC Universe must face when Darkseid and his otherworldly legion of fanatical followers defeat the World's Greatest Heroes. How will they rally back? More importantly... can they? Collects FINAL CRISIS #1-7, DC UNIVERSE #0, FINAL CRISIS: SUPERMAN BEYOND #1-2 and BATMAN #682-683 as a DC Essential Edition!.